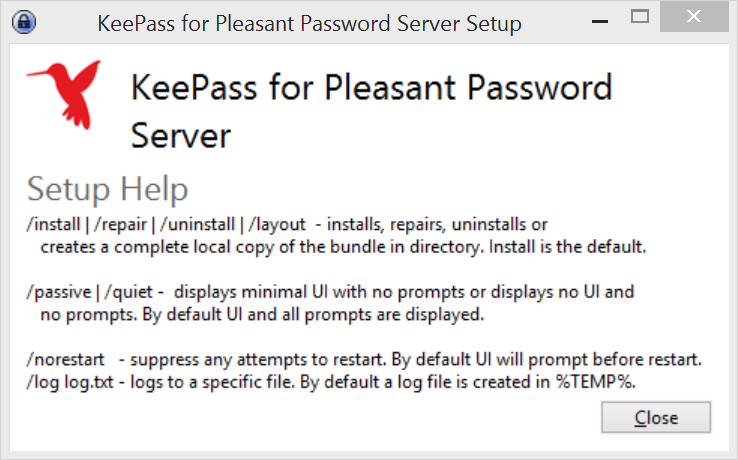 KeePass for Pleasant Password Server has switches for customised installation via command line or script, useful for GPO or mass deployments. /install | /repair | /uninstall | /layout - installs, repairs, uninstalls, or creates a complete local copy of the bundle in directory. Install is the default. /log lot.txt - logs to a specific file. By default a log file is created in %TEMP%.